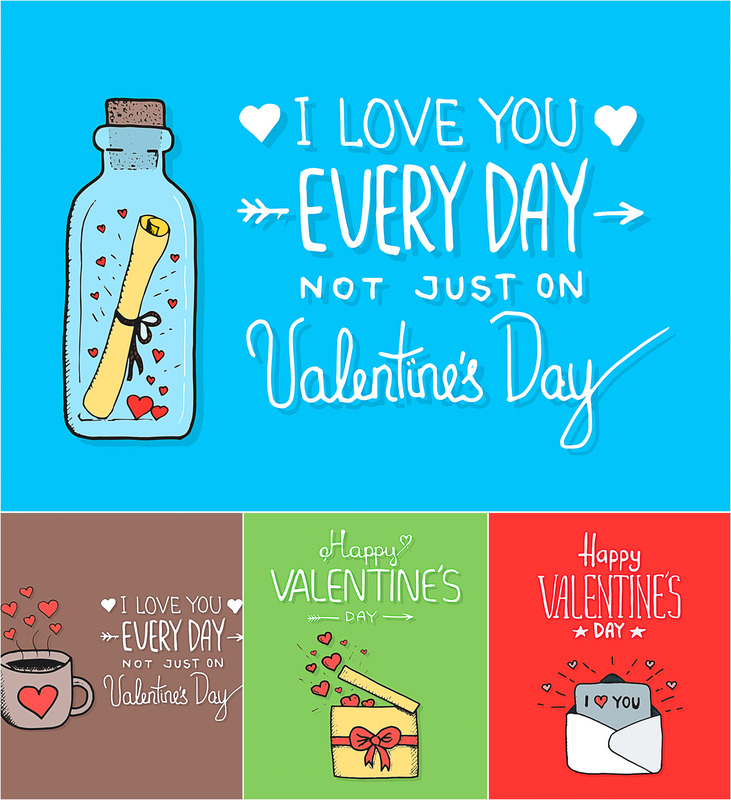 Set of 4 lovely vector images with St.Valentine’s Day postcards with hand painted elements: bottle, cup, gift box and envelope for your personal designs. Free for download. 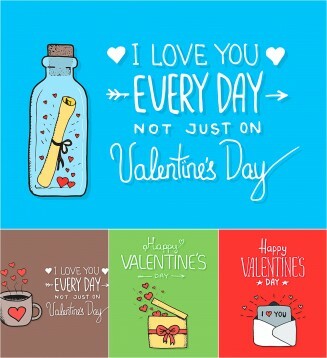 Tags: cute, envelope, love, postcard vector, romantic, St.Patrick's Day cards, Valentine's Day.